Grame Adam at Wertzone has done a good job of describing the situation here. 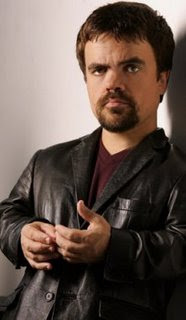 But to suffice it to say this is the best casting choice for Tyrion Lannister I could ever imagine. Whoops. Error has been corrected. Great casting decision if you ask me! I can't wait to see who else they cast. We should be hearing more soon. BEST HBO SERIES EVERRRR!!! So psyched!